Everyone, out of the water! There's a SHARK!! 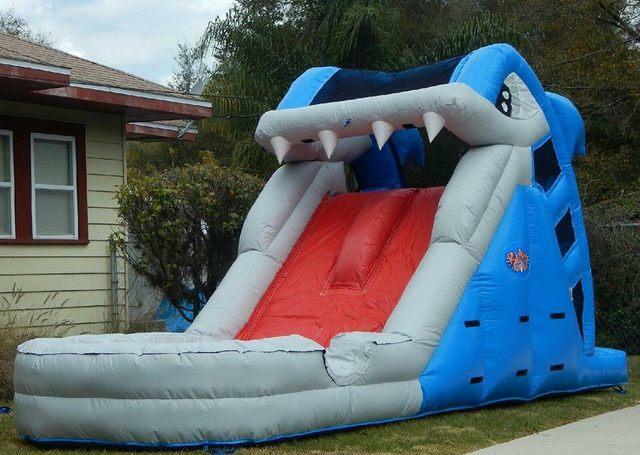 Our monstrous Great White Inflatable Slide is sure to be a showstopper with its staggering 10.5 foot height! Kids can climb up to the mouth of the beast and slide down its tongue into a pool of water below. Don't want to brave the beast alone? The Great White Inflatable allows not one, but TWO children to slide at the same time! Ready to take on our Great White? Book for your party today!